Which Legal Documents are Important to Keep in a Fire Proof Safe? Even today, in the digital age, some documents still need to be kept in a physical form. Whether they are too sensitive to be kept online or they need physical backups, you might have several legal papers that need to be kept safe. Because certain documents need physical copies, they are vulnerable to physical damage. Fire, flooding and any other type of harm is a threat to your most important papers. Keeping these documents safe is an important part of disaster preparedness as well as normal responsible household record keepings. The best way to guard your forms and papers from the elements is to keep them in a quality fire safe. A fire safe is a safe designed to resist heat and flame for a specific amount of time. Most fires only burn one particular area for about 10 minutes. To be safe you should get a fire safe that is rated to withstand extreme heat for much longer than that. 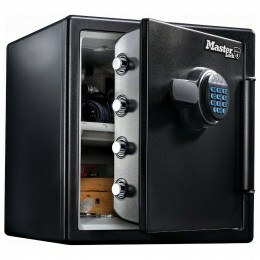 Many fire safes are also water resistant or water proof. However, what specific legal documents need to be kept safe? Some say deeds are not as important these days as long as you are registered with Land Registry but errors can happen where you least expect them and having your own proof of ownership just in case something were to happen is always a good idea. Plus, proof of any other big purchases like cars and boats should kept for the off chance you might need them some day. That way, if anyone claims that something you purchased isn’t yours you can prove them wrong. Powers of attorney are extremely important papers to keep safe. These documents appoint a person of your choosing to make decisions for you if you are unable to do so for yourself. If an accident or mental illness left you unable to make sound judgments, the friend or family member with power of attorney will make your legal and financial decisions. If no one is given this responsibility by the time tragedy strikes, serious legal issues could arise. Make sure this document is securely locked away in a fire safe and the person you intend to make power of attorney can access it if it becomes necessary. Health care proxies are similar to powers of attorney with one key difference. Someone with power of attorney is allowed to make financial and legal decisions for an incapacitated person. A health care proxy makes a legal decision. They are equally important to keep safe. For the same reasons that you should keep powers of attorney safely locked away, you should also keep your living will in a secure location. A living will describes, in depth, what your intentions are for your estate as well as any other wishes you might have after your death. This should also be accessible to your family members after you are gone. Important tax forms are another group of legal documents that should be kept safe. Whether you do taxes on your own or go through accounting firms you will need the proper tax records. If you lose important receipts or records of income you may have a hard time filling out your tax returns accurately. Make sure these documents are organised in a fire proof safe.